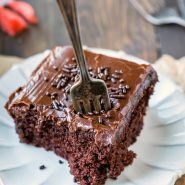 Dense, moist chocolate cake from scratch! 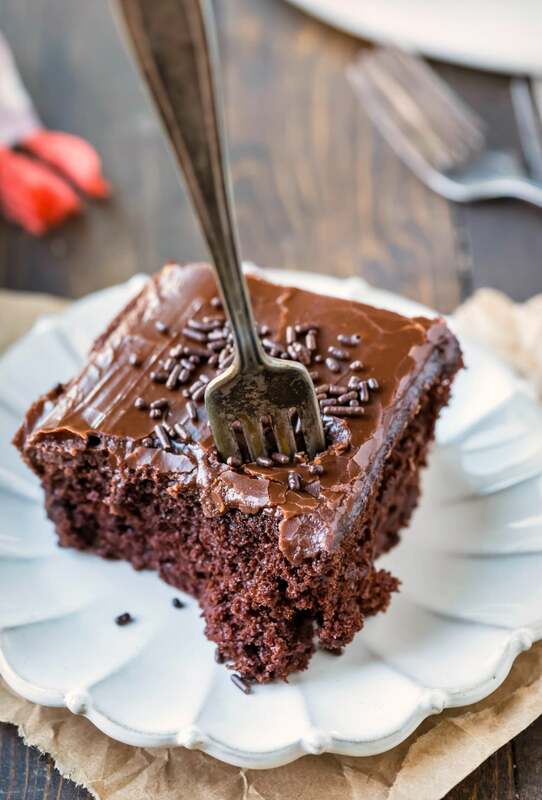 This chocolate mayonnaise cake is a not-too-sweet chocolate cake that’s perfect with a sweet chocolate or vanilla frosting. Originally published 6/11/12. Updated with new photos and tips 5/31/18. 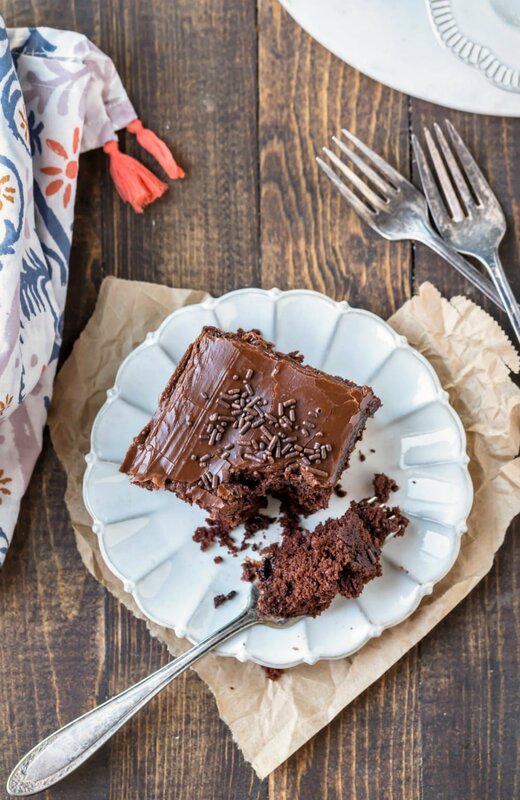 This chocolate mayonnaise cake is a great basic cake. It’s moist and chocolatey – thanks in large part to the mayo and the buttermilk. This cake is moist and is a little more dense than a fluffy chocolate cake. The cake is not a super sweet cake, so I suggest pairing it with a frosting like my whipped buttercream frosting or the cooked chocolate frosting on this cake. 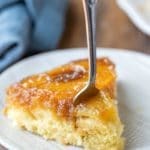 I’ve used both lighter (olive oil) mayonnaise and full-fat mayonnaise in this cake. Both have worked equally well. If you’ve tried this chocolate mayonnaise cake recipe, don’t forget to rate the recipe and leave me a comment below. I love to hear from people who’ve made my recipes! You can SUBSCRIBE to receive my latest recipe newsletters or FOLLOW ME on FACEBOOK, INSTAGRAM and PINTEREST for even more delicious food. Preheat oven to 350F. Grease and flour a 9x13-inch baking pan. Stir hot water and cocoa powder together in a small bowl. Set aside. 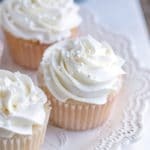 Using an electric hand or stand mixer, beat the eggs, sugar, and vanilla in a large bowl on high speed until thick and very light yellow in color; about 5-6 minutes. Add the mayonnaise, and beat on medium speed until combined. Add the cocoa mixture, flour, baking powder, baking soda, and salt, and mix in until combined. 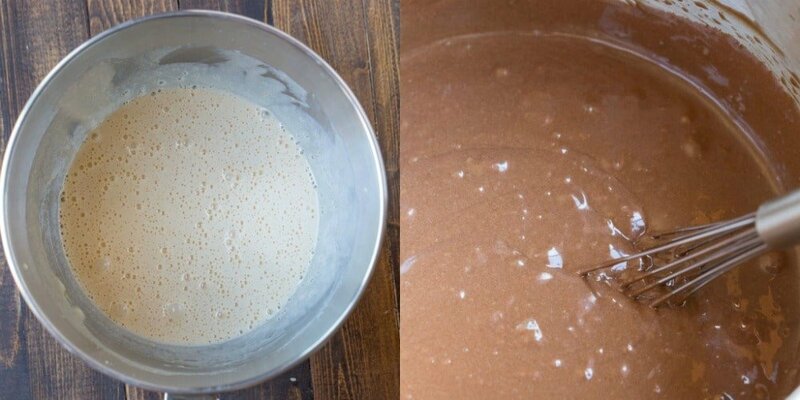 The mixture will look thick and fudgy. Add the buttermilk, and mix on low speed just until it's incorporated. 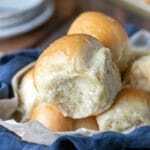 Bake for about 30-40 minutes, or until a toothpick inserted in the middle comes out clean. 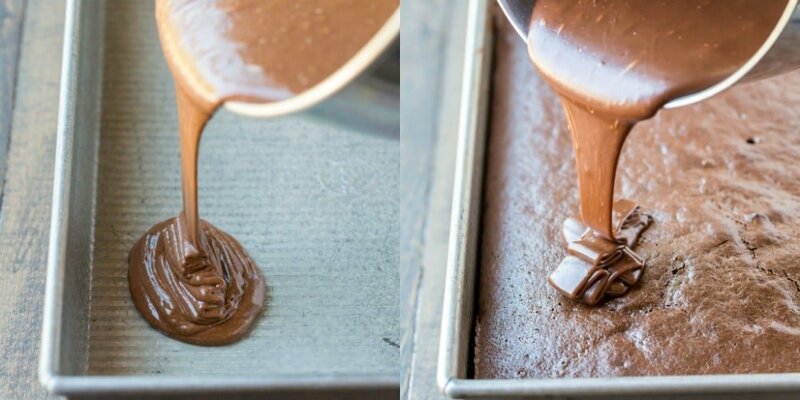 Allow the cake to cool in the pan until it reaches room temperature. Hi Kate many thanks for this lovely recipe and the recipe for chocolate muffin brownies. These are just what I needed to take to a “chocoholic family (there will be 40 of us for Christmas) I may have to make 2 batches! Thank you! I’m glad that you like the cake and the brownies! =) I hope everyone enjoys them, and thanks for commenting! Yum!! The cake is just as described. It is very moist and that’s what I wanted. Thank you for the recipe!